It's Thursday already?! YIKES! I haven't had much time to spend with you gals this week unfortunately- the little time I have had I've spent catching up with you on your blogs (sorry if all I've done is hit 'like' to a post rather than post a comment...) instead of writing my own! Not only did group season kick off this week for our Church (I got over ambitious and have us in I think 3 groups... not all meeting every week- only 2 of them....), I got more serious about training for a half marathon, spent 4+ hours frosting 20 cookies one day (hope to share those soon), finished a made-to-order order, cut/pinned a lot of fabric to sew and I've been sick all week thanks to sweet little guy sharing his cold. Phew, thanks for that little moment. I bet you all have your own things going on that sound quite similar- how do you do it?! Some exciting news, our tickets are purchased for Japan! January 2nd to March 21st (as of now) we will be living in Japan where we just LOVE it! My husband will be the first to tell you that I'm just a lot calmer when we are there- life feels less demanding and stressful. I can't explain it nor am I going to try hard to understand because it's a beautiful thing and I'm looking forward to having that once again! What are your shoots and ladders of the week? 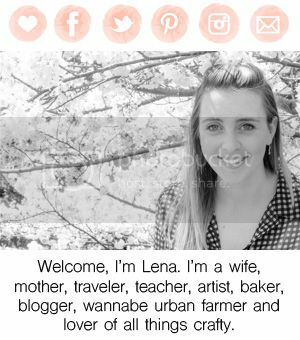 Amy blogs about her life as wife to Luke and stay at home mom to their super cute little blondie Cash. I love Amy's "Falling into Autumn Bucket List" Super cute!! And I'm pretty sure she has knocked quite a few off the list already! 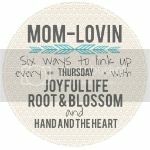 Be sure to follow this girl in any of the ways she has linked up! 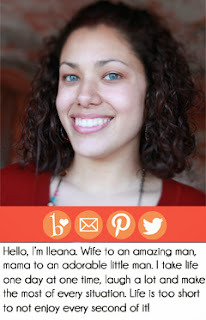 Ileana from Simply Inspired Me is our Featured Mama today! 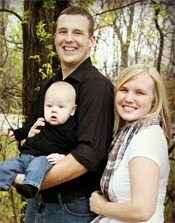 Ileana is a new mama to a sweet little man and blogs about life at home and anything else that inspires her. Check out this sweet post on What Being a Mom Looks like. 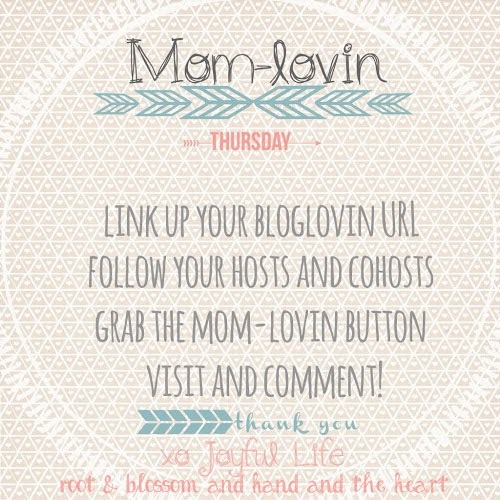 Our Featured Mama's are randomly picked from mamas linking up the previous week on the hop! Check back next week to see if its you! 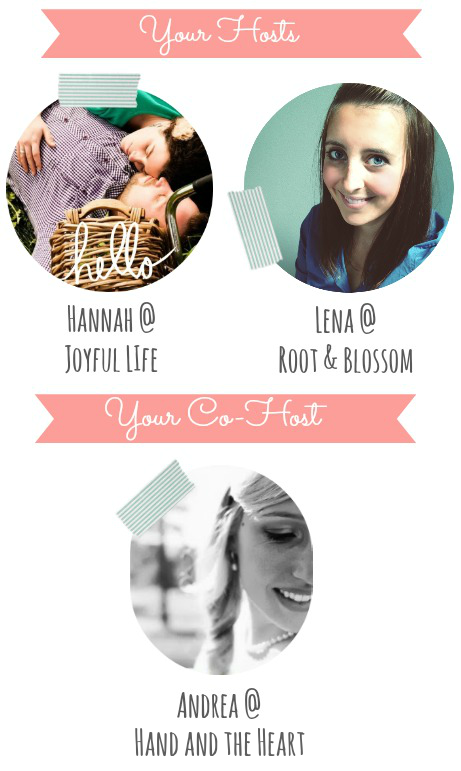 If you are interested in co-hosting FOR FREE shoot Hannah an email at hannahsjoyfullife (at) gmail.com to get on the list, growing your followers couldnt be easier! We have a brand spankin new button, grab it and put it where you like, we would also love it you could replace our old button with this one! thanks friends! Phewf, you are busy! 4+ hours icing cookies AND crafting! Take a breather - I'm tired over here for ya! Congrats on booking tix to Japan...so AWESOME - high five! Sounds like a busy week girl! Church stuff takes up so much of our week too! With hubs being a youth pastor we are away from the house in the evenings 3-4 nights a week..... its getting pretty crazy now that Hazel is older, and im missing a lot of stuff. I don't know how other people do it! ps. saw your super sweet felt ornaments in your etsy! will definitely be buying some but also thinking about hosting a handmade christmas craft exchange! Where you get a partner and you make something crafty for them! What do you think? Japan, WHAT? So jealous and happy for you! It sounds amazing, I love the slower paced life. And you've sounded much busier than me so please feel free to share how you're doing it :) Thanks for hosting! This will be our third stay there so it feel like we heading home a little bit! I have a travel page that you can get to through my navbar and there I have logged some of our more exciting Japan adventures! Oh gosh yea you know all to well and then some! A gift exchange sounds awesome! You are all over all these intermingling blogger ideas! YES! This is our third trip. The first was in 2011 where we got evacuated after the earthquake, then this year we were there the first half of the year (got home end of June), and now we're heading back for a few months.